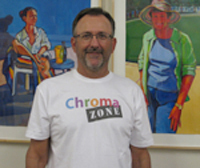 Mark began pursuing watercolor painting in 2000. He has had watercolors accepted in the San Diego Watercolor Society International Annual Exhibition and the Watercolor West Annual Exhibition. He is a Member of Mid-Valley Arts League and serves as their President from 2008-2010. He is a juried member of the Pasadena Society of Artists, Valley Watercolor Society and Watercolor West. In 2003, Mark launched Fine Artists Factory (FAF), a 5000 sq.ft. drawing & painting studio, to support fellow fine artists, and to individually pursue his own fine art career.  During the fours years FAF was in Pasadena, Mark curated over 60 gallery exhibitions and hosted more than 20 workshops with such artists as; Scott Burdick, Dan Goozeé, Craig Srebnik, Charles Reid, Eric Wiegardt, Ted Nuttall, Frank Webb, Robert Burridge and Betsy Dillard Stroud. Mark develop his drawing skills through weekly figure sessions hosted by FAF. Recently he has been working in acrylic creating colorful figurative paintings that have a distinctive stylistic approach. A native Californian, Mark spent his grade school years in Napa and Thousand Oaks. He completed high school and Junior College in Michigan before returning to California. Mark has a BFA in Graphics/Packaging from Art Center College of Design '77. He has directed Mark Wood Design Office for over 25 years, creating branding and marketing communication materials. For the past 30 years he has resided in the San Gabriel Valley with his wife and two daughters. Dramatic bold use of color is what excites me. I'm a colorist. The creative use of color makes a painting interesting every time you look at it. Depicting realism and local color is a secondary concern, which makes my work more stylized rather than representational. I'm interested in creating upbeat joyful feelings with my art. Whether the subject is figurative, landscape, or still life, color is what establishes interest. Acrylic is the medium that allows me to accomplish my goals as a colorist. I work on canvas paper, watercolor paper and stretched canvas, starting with a warmly tinted gesso foundation. When creating figurative work, I enjoy working from a live model, typically in 3 hour sessions. This helps me work rapidly keeping the paintings more spontaneous and fresh looking. If possible the painting is completed during the first session. Occasionally final touches may need to be added later. Influences in my art are Matisse and Fauvism, the Scottish Colourists, the Bay Area Figurative Artists, and the Society of Six: California Colorists.